Uptown Update: Heritage Outpost Lounge & "Apothecary" Cocktail Lounge Coming To 1020 West Lawrence? 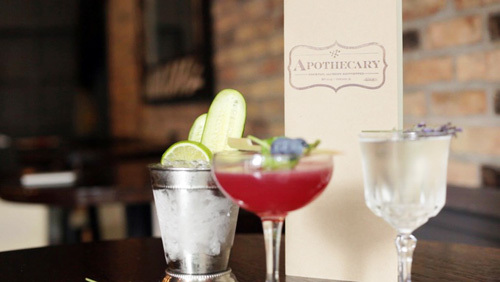 Heritage Outpost Lounge & "Apothecary" Cocktail Lounge Coming To 1020 West Lawrence? Update: We have received more information from Cedar Street/FLATS: Apothecary is not confirmed for the lobby space. It is one of several applicants for the FLATS Project small business incubator. No decisions have yet been made on the lobby space. In fact, this phase of the competition has not yet been announced. We'll keep you updated as we learn more, but for now -- no decisions have been made about Apothecary or any other applicants for 1020 West Lawrence. Original Post: Entrepreneur Eric Reid has plans for one of the ground level retail spaces at the former Lawrence House: he'd like to open his vision of an "upscale craft cocktail lounge" called Apothecary. A pharmacist by trade, he plans on offering ten different signature cocktails, as well having as craft beer and wines on the drinks menu. Of course, dreams must be grounded in reality if they're to come to be. With this in mind, he has created a Kickstarter campaign for Apothecary, where you can read more about his plans, see a video about it, and donate toward it if you so desire. The Kickstarter page is here. "The next Argyle Winmore block club meeting will be next Monday, November 9 at 7pm in the MLK room at the Institute for Cultural Affairs, 4750 N. Sheridan. Refreshments will be served! Two agenda items: 1. To hear about and weigh on on the proposal for a restaurant/bar space in the lobby of the Lawrence House (1020 W. Lawrence), which includes a liquor license; 2. More broadly, to talk about reactivating the block club, which has been quiet for the last year. 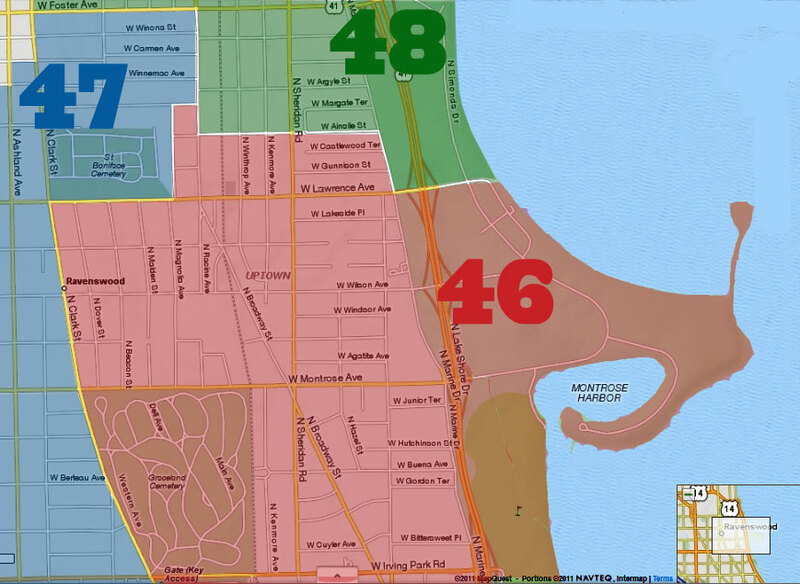 We'd love to hear your thoughts and have your help connecting neighbors to neighbors and making the neighborhood that much better and safer!" This concept will be very similar to Heritage Outpost located in Uptown at the Wilson Tower at 1325 W. Wilson Ave, Chicago, IL 60640. The menu will feature a variety of items such as coffee, pastries, and lunch options. This location will be bigger than the Heritage Outpost location. This concept will feature an upscale bar. The menu will feature a limited, but a diverse collection of alcohol and upscale finger foods. This location will allow patrons to purchase food from food vendors/trucks parked outside Lawrence House. It makes a lot of sense to put a more upscale bar in the Lawrence House building. They'll have a captive audience with the tenants there. I'm guessing the type of tenants this building will attract will really be into this kind of thing. The gentrification of Uptown continues. Pretty soon most current residents won't be able to live here anymore. Well, Uptown was originally a wealthy enclave--for proof just look at the extant architecture from the 1920s and earlier--and such venues as the Uptown Theater (tea matinees, anyone? ), Aragon Ballroom, andmany others such as upscale restaurants and nightclubs that are long gone. 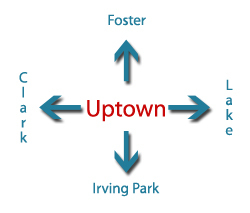 Uptown only began its truly serious decline after WW II. So it seems to me that Uptown in its gentrification is merely returning to some semblance of what it was originally. I'm at a loss why that could possibly be seen as a bad thing. I agree uptownjack. Those that are terrified of the very thought don't seem to understand they are also part of the gentrification process. There's always someone "below" you going "there goes the neighborhood" when you move in. It's really just fear of change. Also, renters are ALWAYS at the mercy of market conditions. That's the trade-off for not taking on the risk of home ownership. It's the reality of every neighborhood, rich or poor, not just Uptown. I agree with Uptown Jack as well. The neighborhood is returning to it's former glory. If you don't buy, you'll be priced out if you're a renter. I've been priced out of a few neighborhoods as a renter. I finally learned my lesson and bought my place.